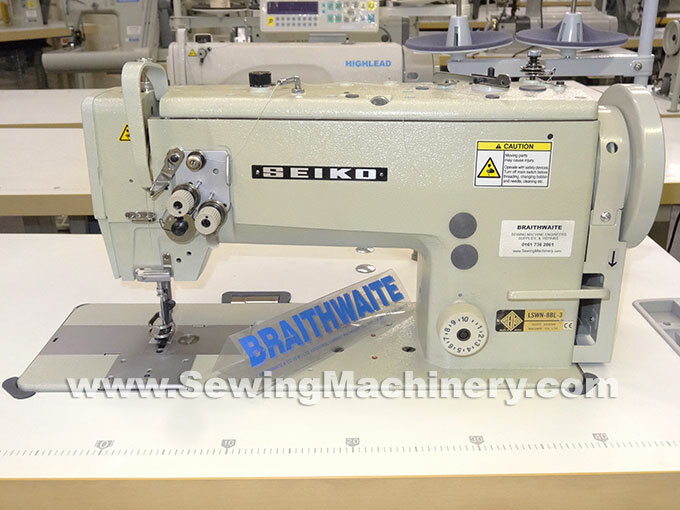 Seiko LSWN-8BL heavy duty, single needle, lockstitch sewing machine with bottom feed, needle feed, walking foot top feed and large capacity vertical sewing hook for use with medium to heavy weight fabrics. 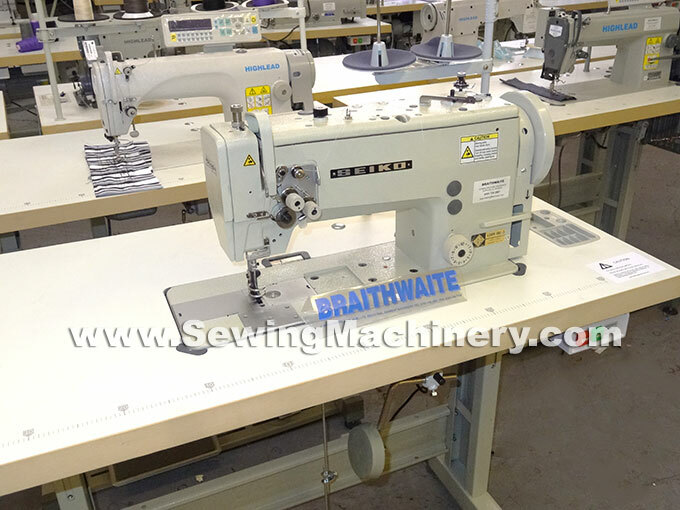 The LSWN-8BL -3 is an updated model replacing the original LSW-8BL machine and is used to stitch: furniture, covers, tarpaulins, awnings, luggage, upholstery and many other medium & heavy weight items. 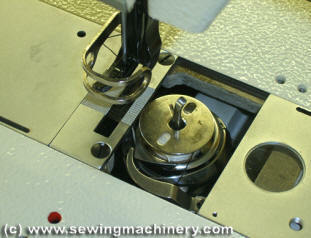 LSWN-8BLV: Fitted with synchronized binder. 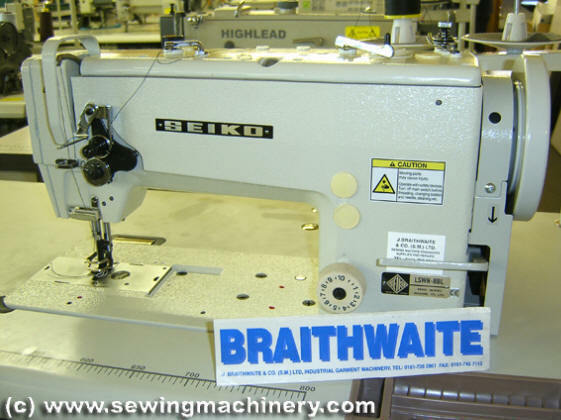 Photo of Seiko LSWN-8BL-3 with matching unit stand and table.